Get yourself into that Southern mood, the sweet sickness that is Savannah’s lure. I call it le mal doux, which is French for “the sweet sickness”. How? You ask? 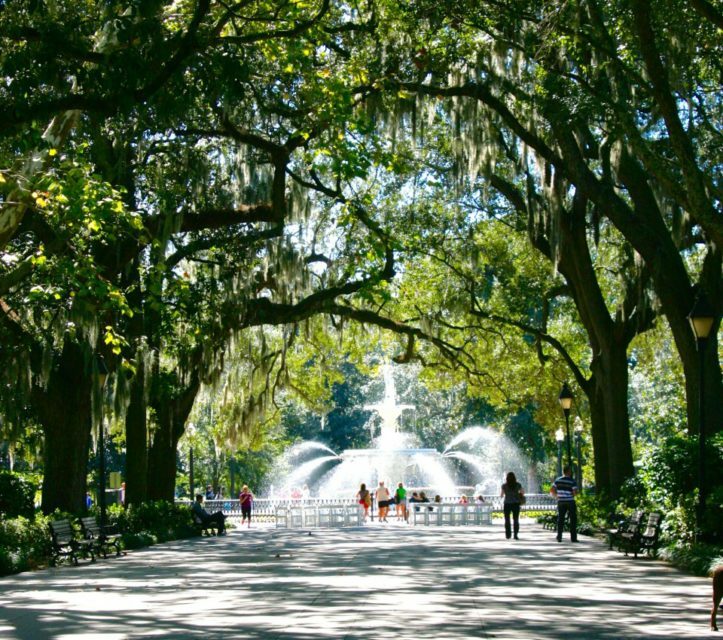 Try reading (or see the movie) Midnight in the Garden of Good and Evil before you take on the task of visiting Savannah GA attractions and finding things to do in Savannah, GA. This surely will put you in the Savannah state of mind. There are also many romantic things to do in Savannah GA, so get your heart ready! You could spend a lifetime in historic Savannah, GA and still not discover all of her secrets, but this guide will guarantee the city stays with you long after you say goodbye. From historic attractions and shopping to where to find the best meals and drinks in town and what to order when you get there, this list will help make Savannah, GA a city you won’t soon forget. You may remember the book Midnight in the Garden of Good and Evil? It became a New York Times bestseller for 216 weeks following its debut! And in 1997, Clint Eastwood made a movie (see at the bottom of this post a list of movies filmed in Savannah GA.) here and featured many Savannah attractions. It is the perfect introduction to Savannah, Georgia and is atmospherically centered around the best Savannah attractions you will want to visit located around the city. Believe me, it will get you into that sweet Southern mood! The variety of food you can find in Savannah is quite diverse. Of course, you can get those traditional Southern dishes you have heard about your whole life like crispy fried green tomatoes, ham-hocked collard greens, pork chops, and fried chicken. But Savannah also has Cuban, French, Italian, Japanese, and even Peruvian foods! Be sure and drink a lot of water. Savannah is hot in the summer, so bring light and easy clothing to help refresh your look after being out all day in the hot sun. Also, book a hotel with a pool in the summer. Savannah is a walkable city, but if you don’t feel like walking there are plenty of bikes and trolleys you can catch. Get the Savannah PASS: 1 Pass, 1 Price: Admission into more than 30 attractions! I have a fascination with cemeteries; I think it is genetic, as I used to visit cemeteries with my Dad as a kid. Stepping foot in Bonaventure Cemetery, with its avenues of 250-year-old live oaks and quintessentially southern gothic-look, it took my breath away. 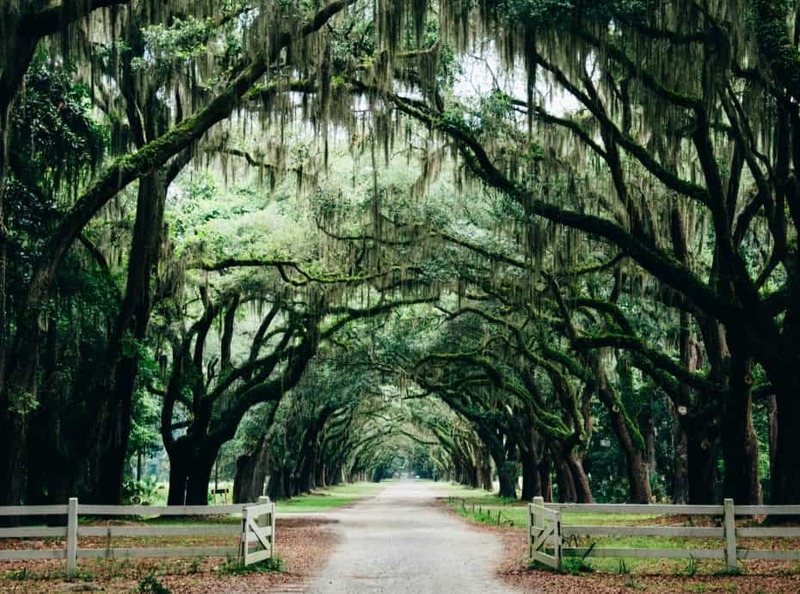 It captured me right from the moment I saw this famous Savannah attraction with its natural cathedrals, tombstones, and sculptural gardens spread out over 160 acres. It transcends time, as you walk past each stone where many of the soldiers of the Civil War are buried. Singer-songwriter Johnny Mercer, who wrote “Moon River” and “That Old Black Magic” is buried here as well. Savannah GA has cemeteries that are more inviting than most city parks! This, of course, was one of my favorite things to do in Savannah GA, which is why I listed it first! Bonaventure Cemetery is just a short drive from the Historic District, another Savannah attraction. 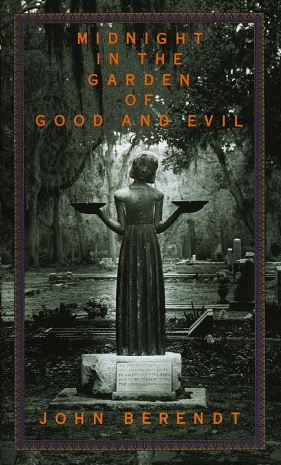 It was a hotbed of tourist activity after the book Midnight in the Garden of Good and Evil got published in 1994. The famous “bird girl” statue that was on the cover of the book was brought here and put on the Trosdal family plot. It was located by photographer Jack Leigh, hired by Random House to shoot the cover for the book and recommended by the author of the book to look here for its cover. It has since been relocated to Telfair Museum of Art, where it is on display. This is just another one of the great things to do in Savannah, GA this weekend, so go check it out! Also, another cool cemetery to visit is the Colonial Park Cemetery. 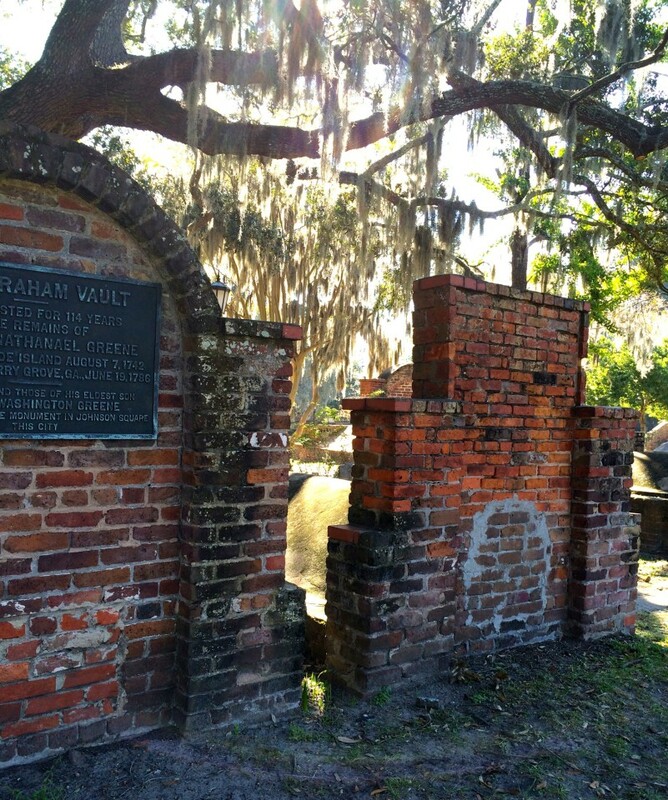 It is the oldest cemetery in Savannah, GA with gravesites from the 1750’s to the 1850’s. It is well known to be a place where the Union Soldiers occupied during the Civil War. It is thought they vandalized the cemetery and changed some dates and altered the memorial inscriptions on a few of the gravesite headstones! One of the most notable people buried here is a signer of the Declaration of Independence, Button Gwinnett. No matter how many photographs I took of Savannah, it was never enough to capture her true beauty and charm, the crown jewel of the Old South. Everywhere I turned there were cobblestoned streets, parks, fountains, Spanish moss and town squares. I knew I would find some amazing things to do in Savannah GA. I was so excited to begin my architectural tour of the most beautiful downtown area of any city in all of the United States (in my humble opinion) that I had ever seen. I don’t say that lightly, as I have been to quite a few. But there is definitely something special about this one. As America’s first planned city, the town squares are where you will want to begin in your exploration to find things to do in Savannah GA. It is also known as the best walking city in America. 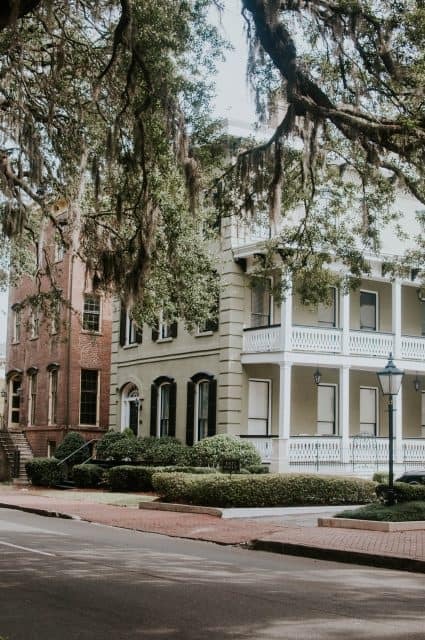 Savannah was founded by British General James Oglethorpe in 1733 and was based on a grid system with twenty-four town squares, which is a brilliant and logical way to create a city. All the housing and public buildings are arranged in this manner. Today, there are twenty-one of the original twenty-four town squares left. Three were taken over by construction companies and demolished before the ladies of the Historic Savannah Foundation stopped this dreadful practice. One of the three has been restored to its original grandeur and rebuilt according to its original plan. I just love those southern belles of the Historic Savannah Foundation! 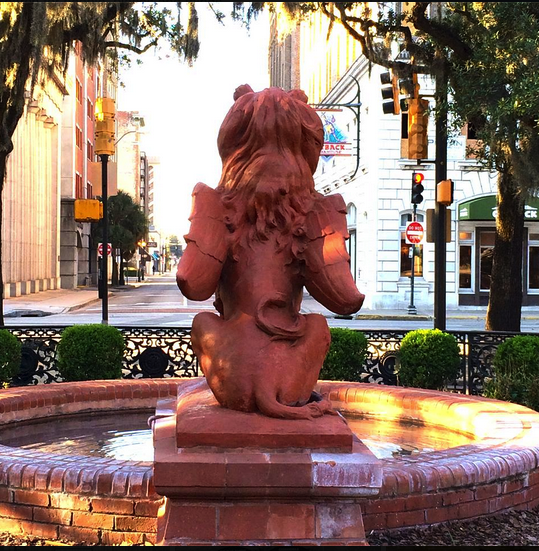 Each of the town squares left is certainly a famous Savannah GA attraction. TIP: To get the BEST airfare deals to Savannah, Georgia, use the Travelocity’s calendar to see if alternating your travel dates will save you cash. 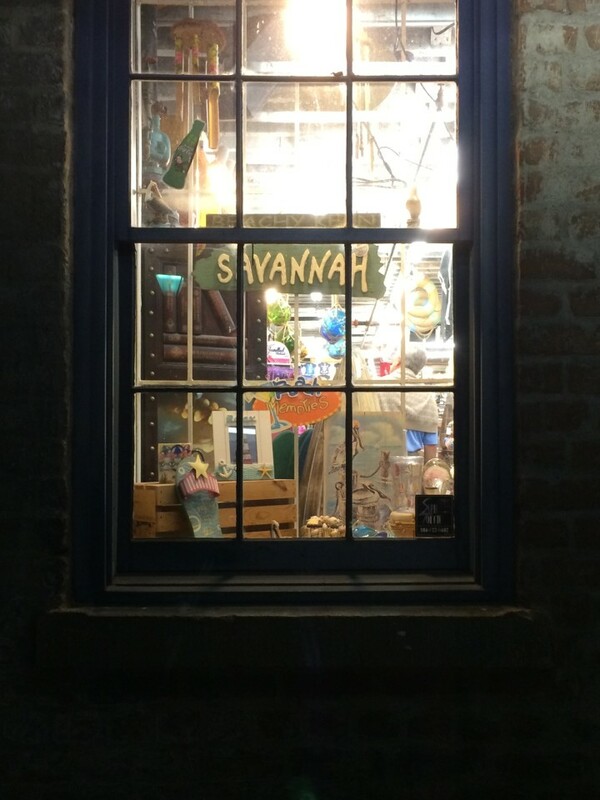 Some of the most exciting shops in Savannah can be found in the Downtown Design District on Whitaker Street between Charlton Lane and Gaston. With the winding back alleys reminiscent of centuries-old European villages with hidden gardens walled by decaying brick. This shopping area is considered to be one of Savannah’s attractions for the high-end tourists. I, personally, always make time for shopping and one of the best shops is One Fish, Two Fish at the corner of Whitaker and Jones. Yes, that Jones street! 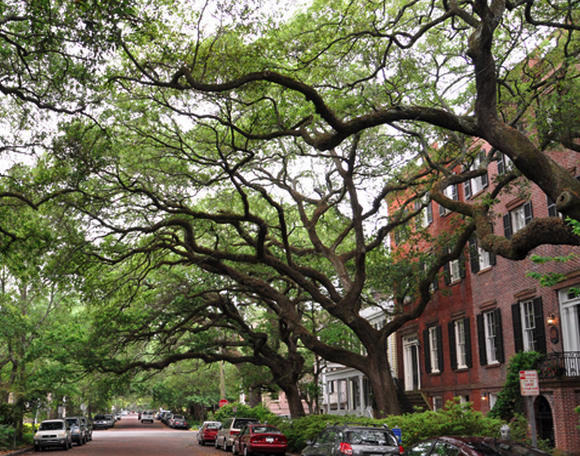 (Jones Street is considered to be the prettiest street in Savannah, GA!) Most of the buildings from Jones street date from the 1850’s-1860’s. You can also take a gander at Broughton Street, as this avenue has unique shops and art galleries, as well as an afternoon tea experience at Gryphon Tea Room and boisterous bars. Broughton Street is also the place for serious shoppers. You can find the perfect souvenirs at local shops, boutique stores, and while there, don’t forget to have an ice cream at Leopold’s. Be sure and visit The Paris Market and the nearby The Salt Table on Barnard Street. Continue your shopping at the City Market. The City Market is four blocks of open-air shopping surrounded by restored warehouses with shopping, bistros, and art all while being serenaded by musicians. 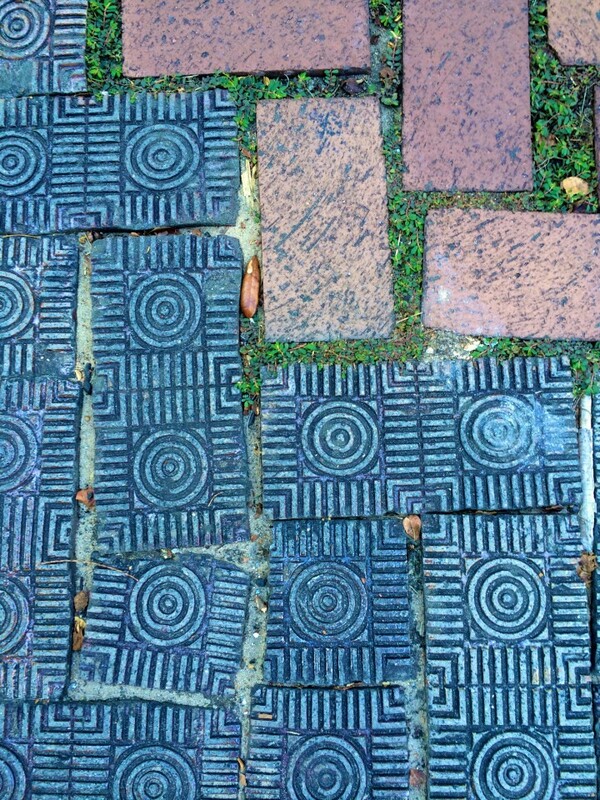 You can stroll the shaded courtyard between two of Savannah’s famous squares, as Savannah City Market stretches from Ellis Square to the east and Franklin Square to the west. You can start at the corner of Jefferson and West St. Julian Streets. As you walk around, you can read the plaques in each square to appreciate the history of the area. Don’t forget to visit Chippewa Square to say you’ve been to the park bench where Forrest Gump was filmed (certainly a famous Savannah attraction). In the opening scene of the film, a feather floats high above the trees, then sweeps down past the Independent Presbyterian Church. It then makes its way toward Chippewa Square. It eventually lands on this park bench. (If you take the trolly mentioned below, you will see Forrest walking by on his way to the bench.) If you are tired from walking, you can also get around town by taking any of the trolley tours that are available. I chose the Old Savannah Trolley Tours, which is a hop on/hop type of trolley system that takes you around the grid system and allows you to get on and off as you please. For over three centuries, this city on a hill has endured two major wars, slavery, reconstruction, and segregation to emerge as one of America’s most charming destinations. Taking a fine home tour will give you a little bit of this amazing history lesson. Thomas-Owens House: There are many fine homes to tour, but be sure and visit the Thomas-Owens House since it is considered one of the finest examples of English Regency architecture in America. It was built in 1819. It occupied a complete block featuring a cast iron balcony, a winding double staircase, and arched storybook windows. See what I mean when I say there are plenty of things to do in Savannah GA? 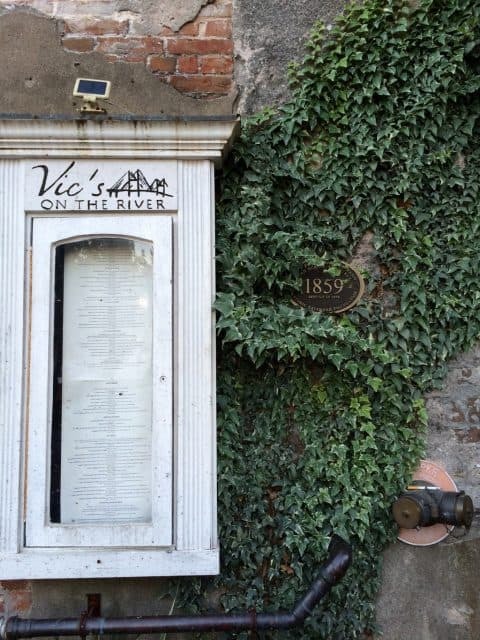 This is the perfect Savannah attraction to explore. On the tour of this Savannah attraction, you will see the indigo ceiling near the pantry/kitchen area. This was where the slaves quarters on the first floor used to be. This is the largest example of “haint” blue painting known to exist in America. The paint was created by mixing indigo, lime, and buttermilk. It was used to ward off evil spirits. The slaves put it on everything from the ceiling to the doors, the windows and even behind or underneath furnishings. Juliette Gordon Low House: The founder of Girl Scouts, Juliette Gordon Low, was from Savannah, GA. You can tour a bit of Girl Scout history right here in Savannah. She founded the Girl Scouts in 1912 and there is a tour of her house most days. No visit to Savannah GA is complete without a visit to the Juliette Gordon Low House. (My son was an Eagle Scout in the Boy Scouts!) The tour of this house will give you some insights into the life of Juliette and the organization that she founded. Andrew Low House: A former resident of Juliette Gordon Low. 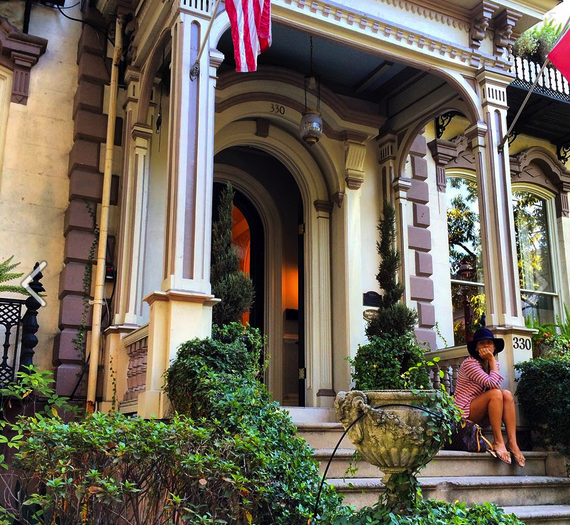 Davenport House: This historic place marks the beginning of Savannah’s historic preservation movement. It is currently a museum that was built in 1820 and restored to reflect the life of a middle-class family at that time. It is available daily for tours. It also provides a very interesting look at a well-preserved home for its time. Green-Meldrim House: A Gothic Revival mansion that was occupied by General Sherman during the Civil War. Mercer-Williams House: One of Savannah’s most famous historic Houses and featured in Midnight in the Garde of Good and Evil. Flannery O’Connor Childhood House: A Depression-era house of the author Flannery O’Connor. Sorrel-Weed House: – Considered the most haunted place in Savannah, GA. The birthplace of “Jingle Bells” – There is a plaque on 19 High Street in the center of Medford Square that reads the “birthplace” of “Jingle Bells” in 1850. James Pierpont wrote the song at the Simpson Tavern and was inspired by the town’s popular sleigh races in the 19th Century, according to the historical society. 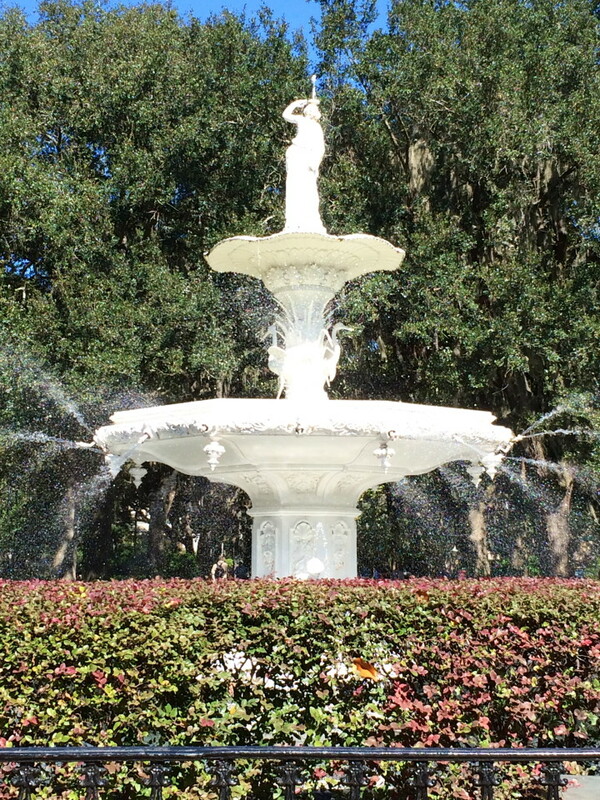 Forsyth Park: No visit to Savannah is complete without a trip to Forsythe Park to see the most alluring water fountain. It is right dab in the center of the park. The park itself is surrounded by beautiful mansions that have been restored. They make for beautiful scenery as you stroll the park. I was there in November and so I was lucky to be able to see the amazing fall colors throughout the town. This is one of the wonderful things to do in Savannah GA probably one of the most famous Savannah attractions. Hey Tourists! Need a pitstop for a snack yet? Well, Parker’s Market Urban Gourmet, otherwise known as Fancy Parker’s by the locals is here in Savannah GA for ya! They have everything from a bottle of water, coffee, sodas, sweet tea, snacks, to fresh flowers, cards, and souvenirs and everything in between. I love this place! From the critically acclaimed film Forrest Gump, some scenes were filmed right here in Savannah, Georgia! Not only that, Forrest sits and waits on the bench to tell his life story to anyone who will listen. It is located in Chippewa Square. They have one of the Forrest Gump benches that were used in the movie on display at the Savannah History Museum…mentioned below as one of the things to do in Savannah. A bit “kitschy” for my liking, but still you should go down there to take a peak and walk along the riverfront. Unfortunately, the area has been taken over by tourist and touristy type establishments, but that is to be expected in a town that draws in so many tourists. And tourists find many things to do in Savannah, GA; things like haunted house tours, shopping, and lots of great restaurants. A cultural treasure, this church was founded in 1777 by George Leile, the slave of a Baptist Church Deacon! The First African Baptist Church was built by its congregation that was made up entirely of slaves. They finished it in 1859. Located on Franklin Square, it was once a stop on the Underground Railroad. Still today you can see the holes drilled into the floorboard to funnel fresh air into the tunnels below for escaped slaves. Take some of your wandering time to visit the Cathedral of St. John the Baptist. Many compare it to Europe’s medieval churches. Take a peek inside the cathedral as well. The Cathedral of St. John the Baptist is open weekdays from 9 a.m. to 5 p.m., but Saturdays and Sundays are reserved for religious ceremonies only. Photography is permitted inside the cathedral. You can visit the cathedral’s website for more information. And if you are into religious history, you can also visit the oldest Jewish congregation in America which was founded in 1733: the Congregation Mickve Israel. It is over on Gordon Street in the Historic District. I have a big “Thank You” to say to General William T. Sherman, you know, the General in the Union Army during the American Civil War? In his famous “March to the Sea” at the end of the Civil War, he had burned down almost every plantation in the South, as well as the city of Atlanta. But he did not burn Savannah, he left it untouched as a Christmas present to President Abraham Lincoln. He spared it from Civil War destruction because he found it too beutiful to burn! And what a Christmas gift she was! The King was back in Savannah the summer of 2016 to coincide with the 60thanniversary of his first show in Savannah way back in 1956! You could have admired black and white photographs taken of Elvis, back when Elvis was 21 and trying to make it in the world. The photographs were by Alfred Wertheimer, who then was a young freelance photojournalist. Wertheimer was able to capture images of the young superstar in his early years. Today, there is a new exhibit in its place, but there is always something interesting and cutting edge located here. I mentioned the Jepsen Center for the Arts above but wanted to let you know that it is a part of the Telfair Museum of Art, where three diverse buildings house artwork ranging from classic to cutting-edge, like the Elvis exhibit. The museum’s three sites include two National Historic Landmarks and a contemporary building. They are all located within walking distance of one other the historic district. And while you are at it, if you love art, then you will enjoy a trip to the Tiffani Taylor art gallery over on Whitaker Street. She not only has original art but also a selection of pottery. Her art can be found in galleries throughout the world and she has many worldwide fans. She also happens to be the founder of the Savannah GA Art Wak! It is a monthly tour of Savannah GA galleries. Oh Savannah, how is it possible that I have been alive all these years and never been to you for a visit? How could I have overlooked your charms? It seems almost impossible but visiting Savannah only kindled my desire to return to her elegant architecture, her fancy ironworks, her stunning fountains and her 21 squares. Visitors from all over the world come to see Savannah and it is only now that I have finally found her. I am smitten with a passion for Savannah! The way I see it, love is complicated and it is possible to have more than one great love in life! This is something I have always wanted to do… walk or drive underneath the massive moss-covered oak trees. 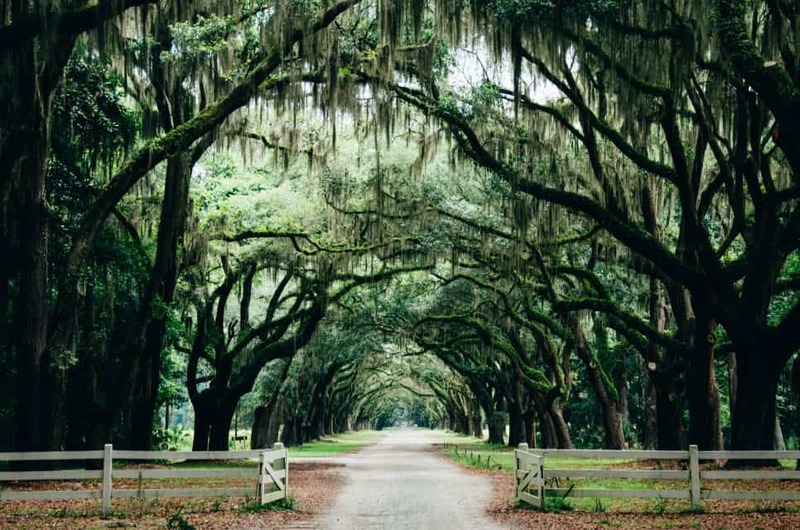 You can even take a drive to Wormsloe Historic Park. Generations of Savannahians have loved Leopold’s Ice Cream since 1919. This soda fountain shop was started by the three brothers George, Peter, and Basil Leopold. They were immigrants from Greece who came to the USA and learned the art of candy and dessert making from their uncle. Their soda fountain business on the corner of Gwinnett and Habersham streets became legendary! This location was where two streetcar lines intersected and so plenty of riders would jump off the streetcar to grab a bite to eat. No trip to Savannah is complete without a stop at Leopold’s. It has had a few closures and moves since then, but much of the current décor, such as the original soda fountain, the banana split boats, and the malted milk dispenser are still being used. For a bit of nostalgia, you can still see the Philco radio and the wooden interior phone booth. It is like walking back in time. With refreshing windy breezes, you can take a sightseeing tour down the majestic Savannah River! They have everything from day cruises for lunch to seasonal and even sunset cruises. This is the first bicycle sharing program in all of Georgia and makes for an easy way to get around! Cat Bike. As I mentioned before, Savannah can be hot and so riding the local bikes in the area between Savannah attractions is a fun way to get around town! How many times do you get a chance to ride in a hearse or take a haunted house ghost tour on a trolly if it is not Halloween? Well, not too many I suspect, so why not take a Savannah Ghost Tour? 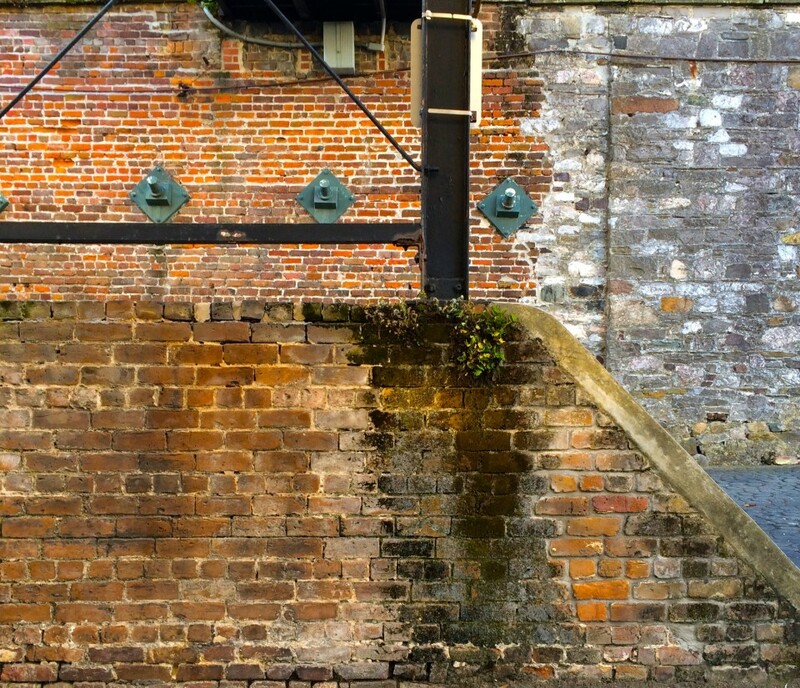 Since Savannah is known as one of America’s most haunted cities you might as well go to some of the most haunted sites in the city. You will hear historical facts mixed in with entertaining ghost stories as you ride the haunted trolley. Spend the day on Tybee Island, which is only about 20 minutes from Savannah’s Historic District. Tybee Island has five miles of beaches for you to enjoy a relaxing and fun day at the beach. A visit to Tybee Beach wouldn’t be complete without exploring the island and enjoying the sunset near the ocean. 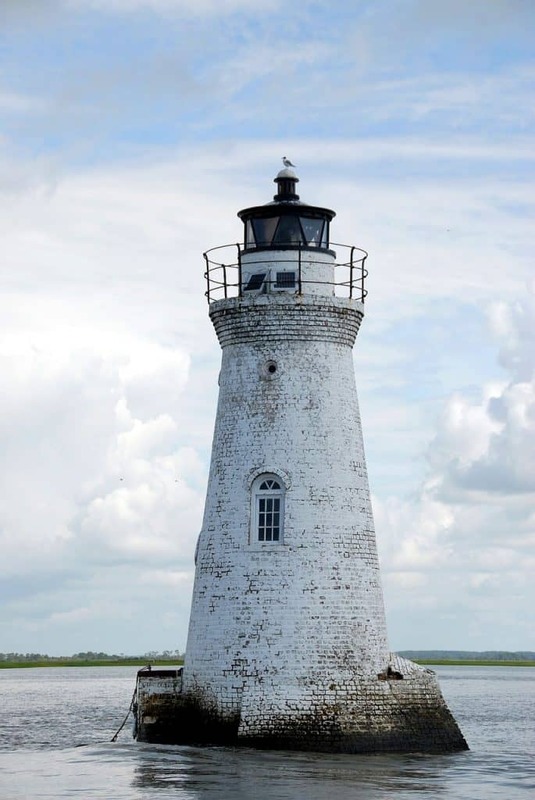 While there, locate the Cockspur Lighthouse and if you get a chance, eat at 80 East Gastropub. It is sort of hidden behind a gas station, but the food is fabulous! Near Tybee Island is Fort Pulaski, which is built on Cockspur Island between Tybee Island and Savannah. It was a coastal fortification built in 1812 that was destroyed during the American Civil War in 1862. It was thought to be indestructible, but the Union army rendered brick fortifications obsolete by its destruction. Today the fort is a well-preserved – not too dissimilar to Fort Jefferson that I have explored before. And while we’re talking about old forts: Don’t forget to visit the national historic landmark of the Old Fort Jackson built along the Savannah River in Savannah, Georgia. Again it was one of the national defense system fortifications. The museum is located in historic downtown Savannah at 41 Martin Luther King, Jr., Boulevard, between the Holiday Inn and The Grey Restaurant (Eater’s Restaurant of the Year in 2017 that is housed in a revitalized 1938 art deco Greyhound Bus Terminal!). Ships of the Sea is only one block west of City Market and a few blocks north of the Visitor Center. Founded in 1966, the Ships of the Sea Maritime Museum features memorabilia related to 18th and 19th-century ships that were displayed in the 1819 William Scarbrough House and Gardens. I have never seen so many gorgeous fences in all my life. Wrought iron or cast iron decorative gates and fences can be seen all over town. They were and continue to represent the fine craft and beauty of the golden days. 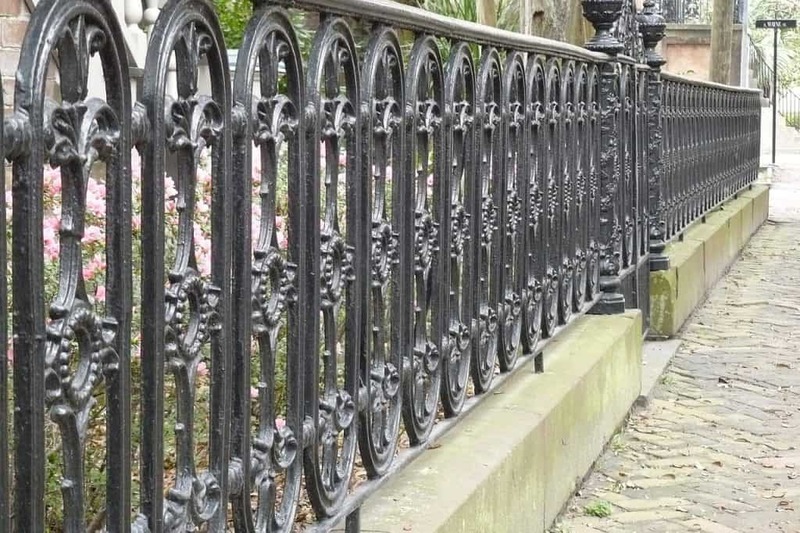 In fact, Crawford Square is the only historic square in Savannah to still retain its original fence! It also still contains its original water cistern from the 19th century. This former railway shed, the Savannah History Museum has tons of information about the history of Savannah, Georgia. From the founding of the city to the American Revolution, as well as the battles of the American Civil War and the civil rights movement, they have documented it all! Do what? It may surprise you to learn that Savannah, Georgia has one of the biggest St. Patrick’s Day parades in the entire country! Almost 400,000 visitors are in attendance annually. Droves of post-parade partiers migrate from the Historic District in downtown to Kevin Barry’s Irish Pub. It is a famous Irish bar set in a historical 162-year-old building on the west end of River Street. Try making your visit during one of Savannah, GA’s major local festivals. Savannah Music Festival – Held annually at the end of March through the beginning of April. This music festival features some of the world’s best musicians. Savannah Food & Wine Festival – Held annually in November, you can explore the best in Southern cuisine at the Savannah Ga Food & Wine Festival. However be sure to get your tickets fast, as the tickets to this Savannah, GA even sells out in nearly a year in advance! SCAD Savannah Film Festival – This festival is typically held in late October/early November. They have daily screenings of independent films and many parties. Visit the historic Savannah Ga theatre. It opened its doors back in 1818 with a production of “the Soldier’s daughter” and today it showcases many high energy variety shows and is open three days a week. 31. 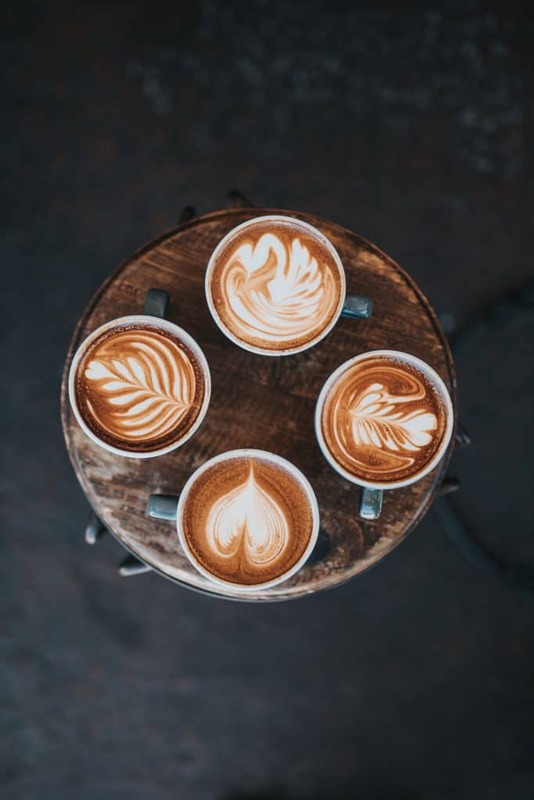 Take a Coffee Break at a few Savannah coffee houses! Do you ever feel like you need an afternoon pick-me-up when you are out trying to find things to do in Savannah? Why don’t you grab a cup of Savannah-made coffee at Foxy Loxy Cafe, Blends Coffee Boutique or even Blends Coffee Boutique? Do you love art and coffee? You can admire the local art scene while sipping the latest coffee creations at Gallery Expresso. It is a Bohemian cafe with coffee and light fare foods like salads and pastries in a space with mismatched sofas! Take a romantic horse-drawn carriage ride through the streets of Savannah at dusk with your sweetheart after dinner! Have the Madison Tour Company pick you up from a romantic dinner at The Grey (see below in the food section on where to eat) and enjoy the cobblestone streets of historic mansions. There is nothing quite like having your photos taken while on vacation in Savannah GA! Meet up with a local photographer through Flytographer and have your photos taken in a gorgeous setting! I did it with my husband in Monaco and we loved it! 34. Savannah, GA: Take a Hike! I actually just read about some great hikes in the Savannah, GA area. According to Visit Savannah, Savannah is better “lived outdoors” and the city offers many scenic trails. Read this article for the latest information on hiking trails in Savannah. 35. Find the Coolest SpeakEasy in Town! I don’t know about you, but I love Speakeasies and I also love cocktail bars. So you can imagine how excited I was while in Savannah when I went on a quest to find Mati Hari, a hidden bar in the back of the boisterous 309 Club. But you know as a Speakeasy, you need a key or a password to get in. So be sure and check with a few of the local bartenders or maybe at your hotel concierge! It may take you a while to figure out how to get in! Once you finally find the hidden door, the bouncer will let you know that you need a key or membership card, but if you ask nicely, I am sure he might just let you in. I highly recommend trying some of their signature drinks like the lavender lemonade. And if you really want to, you can visit an alehouse that operated during the prohibition time: Savannah Distillery Ale House. But if you really want to visit a speakeasy city, with loads and loads of them, you must travel far far away to Lviv Ukraine! I have NEVER seen anything like the Speakeasies here! One of my favorite places to go antique hunting is Picker Joe’s! And with over 10,000 square feet of space, if you can’t find it here, you may not be able to find it in Savannah, Ga! And where else can you go where you can get a free vintage cup of Joe from Joe’s premium select coffee while you hunt? It is located between Abercorn and Lincoln Streets at 217 East 41st in the Midtown-Historic District of Savannah, Ga. With their motto of “an experience like no other and a MUST SEE in Savannah” and I do have to agree! 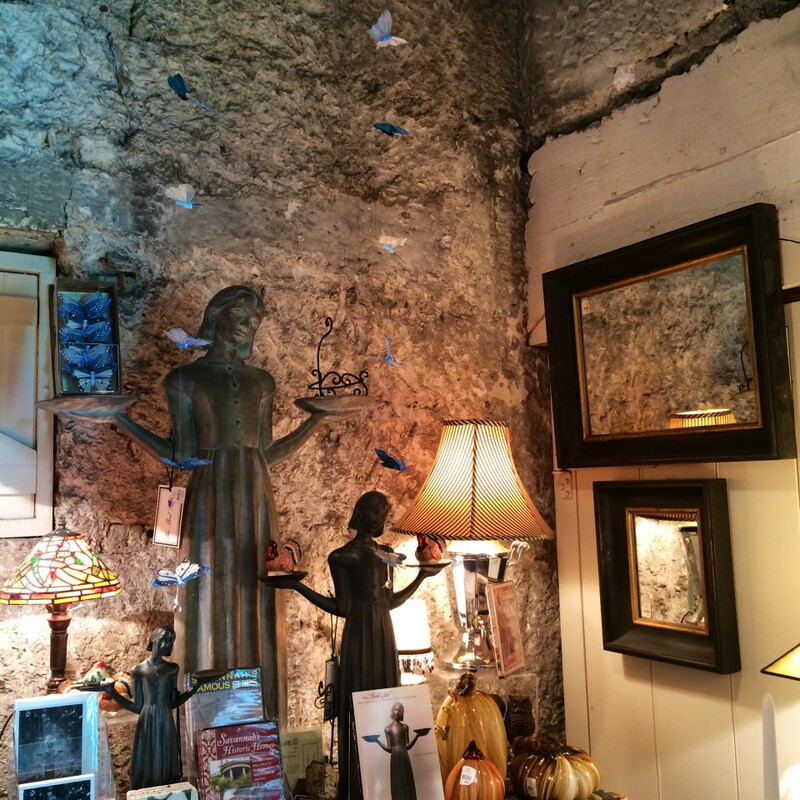 There are four solid floors of things to look thru over at Alex Raskin Antiques. Some say it is like walking back in time with time suspended! Located at 441 Bull St in Savannah Georgia, you can’t go wrong spending an afternoon shopping here. This place is packed to the guilds and Savannah, Ga is lucky to have such a wonderful place for you to spend your time. Things to do in Savannah: Read a Book! And if you have already read Midnight in the Garden of Good and Evil mentioned above, then I am sure The Book Lady will have so many more books about Savannah, Ga or really about any subject that you want to read about. This cozy independent bookstore should have everything you need to cozy up and read somewhere in one of its nooks and cranny spaces. 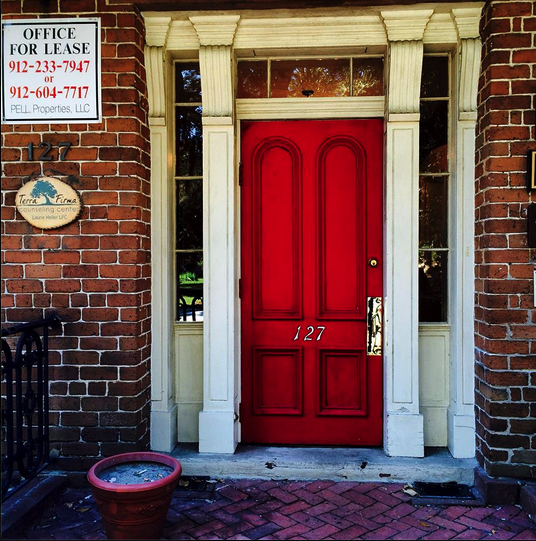 Located at 6 E Liberty St, Savannah, GA, it is definitely not a place to miss! Have you ever thought about trying different kinds of honey? Me either, but Savannah Bee Company over on Broughton Street, Savannah is passionate about its honey and wants you to try (buy & taste) its delicious honey! They will teach you everything you need to know about beekeeping and the different uses of honey. ✦ When is the best time to visit Savannah? 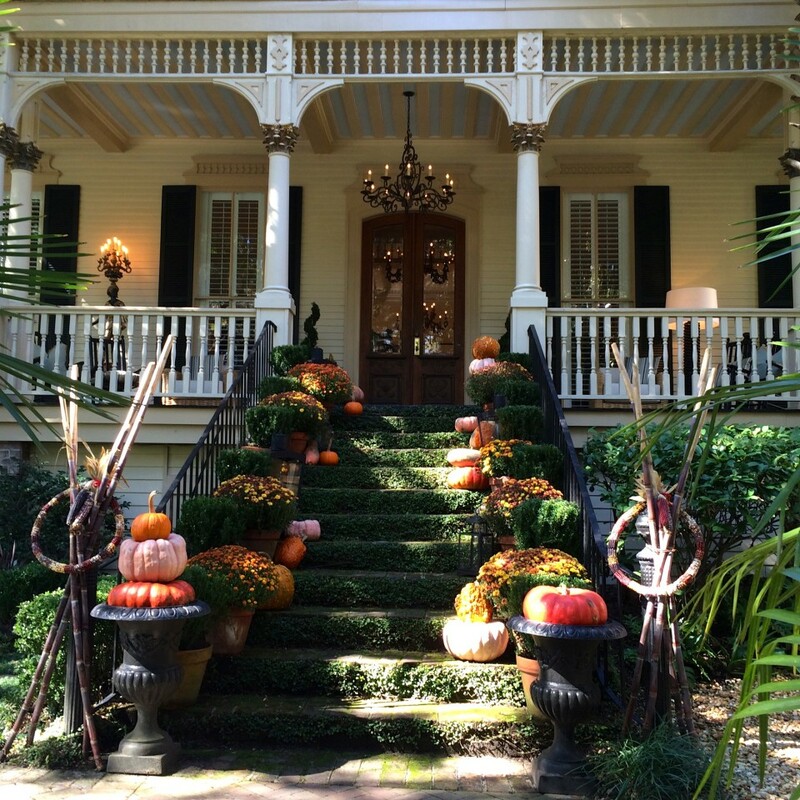 There is no better time to “Fall in love” with Savannah than in the FALL, from September to November. This is a great time to visit Savannah, GA. It is not as crowded to visit during the fall months. But I do think that the best time to visit Savannah is in the Spring from March to June (except not on Saint Patty’s Day weekend). It is during this seasons that the flowers are blooming (It is beautiful in March when the Azaleas are in bloom) and the birds are singing! There are many pink Azaleas that bloom and decorate Savannah’s squares. Savannah lies along the Savannah River, approximately 20 miles upriver from the Atlantic Ocean. Really anytime is good to visit Savannah, as it is one of my favorite American cities. ✦ Savannah, Georgia: Where to stay in Savannah? Do not be tempted by the lower rates outside of the historic district, because the historic district is where you want to be and where you can walk to everything. Even though parking is limited, it is THE place to be. 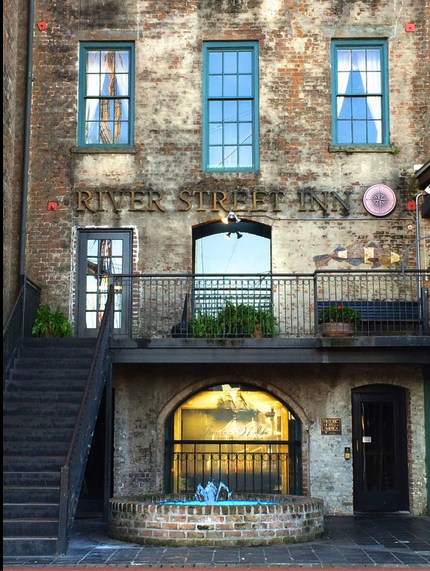 I stayed at the River Street Inn, along River Street and as far as location, it was perfect as it overlooks the Savannah River. 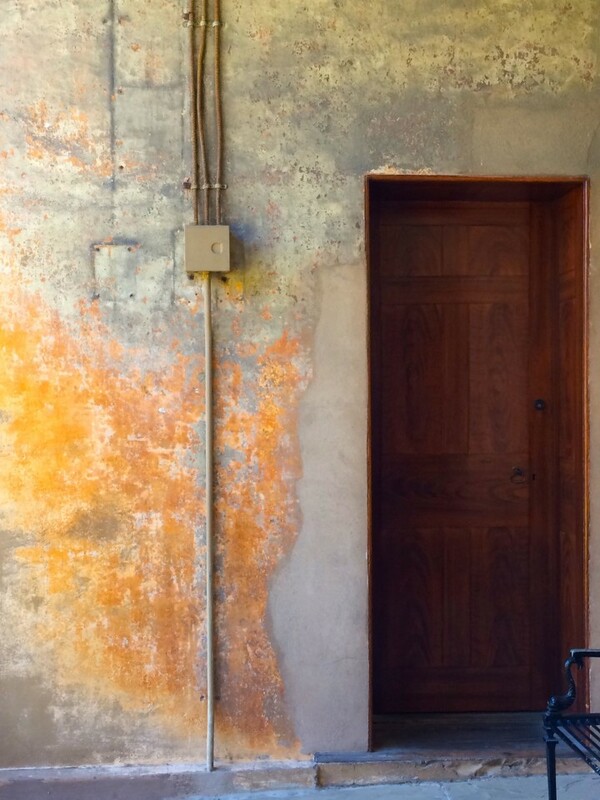 It is an old restored building with brick walls, archways, and hardwood floors. The structure itself is gorgeous, but as far as the rooms go, it could be updated. However, if you are there to explore and not spend much time in the room, this will work perfectly. 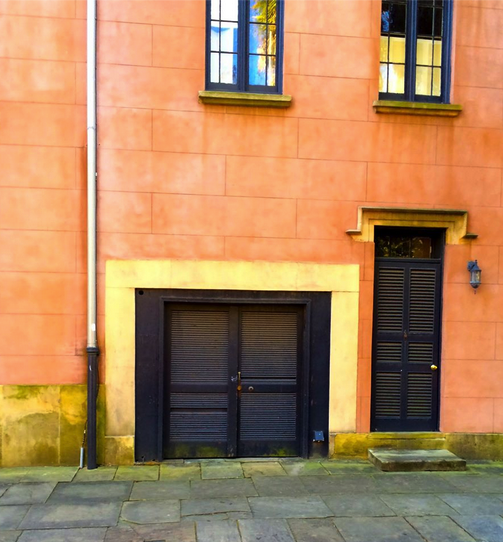 This four-star property located on Habersham Street, in historic Savannah, GA, is within steps from Columbia Square and the Davenport House. It is a boutique bed and breakfast with free wifi. A stay at the Kehoe House will not disappoint! Another gorgeous property is the Mansion On Forsyth Park. Remodeled in 2005, it provides amazing décor and amenities throughout the 125-room Victorian Romanesque property. With Versace furniture in the lobby, the Mansion on Forsyth Park provides high-end amenities in the historic district of Savannah, GA. You should take a moment to spend some time at the gorgeous marble-framed pool and relax at the Poseidon Spa. It is sumptuous! Known as “Savannah’s Coolest Hotel” by Fodors in 2018, The Kimpton Brice Hotel has beautiful architecture yet is gorgeous on the inside. With an urban resort vibe, it is located right in the center of Savannah’s National Historic Landmark District. The Kimpton Brice Hotel is centrally located and within walking distance to the City Market and near River Street. The Andaz Savannah is always recommended for an eclectic boutique hotel located in the City Market. With an urban vibe, yet Southern sophistication, the Andaz Savannah by Hyatt delivers a modern city chic feeling to the area. Just steps from the river, trendy shopping, and awesome dining. Location, location, location: DoubleTree Savannah Historic District Hotel – This cozy, inviting, and colorful hotel is in the perfect location – right in the historic district. The staff is super friendly and always there to please. Be sure and ask for a street side facing room versus the park side facing rooms because of the noise since it is located less than two blocks from the historic district’s restaurants and nightlife. This is a nice Hyatt Regency with a cool lobby that overlooks the Savannah River. Stop by just to watch the container ships. from the floor to ceiling windows. Yearly 30,000 container ships are making their way from the port of Savannah. There are ships from all over the world and it is quite interesting to watch. Stay at this four-star luxury hotel The Perry Lane Hotel, near SCAD (Savannah College of Art and Design) in the Historic District. It is also close to Forsythe Park. It has 167 rooms with 12 suites, so there is something for everyone! With its rooftop bar and 8900 square feet of event space, they have it all. But let’s say you are more of the B & B type of person, that hotels aren’t really your thing! Have I got an amazing place for you? You bet I do at Azalea Inn & Villas! In fact, you may never want to leave this history and luxurious accommodations! They have everything from individual rooms to elegant cottages and villas. And furthermore, it is located in a great place to wander around in Savannah, GA.
✦Savannah, Georgia Tip: Stay on or near River Street to cut back on the cost of Uber of Lyft! There is also a free shuttle at the Savannah DOT that takes you around the Historic District. ✦ Savannah, Georgia: Where to have a cocktail? Where should you go to get that drink? How about Congress Street Up, a hot “craft cocktail” bar and 1920’s style speakeasy in Savannah? Or how about Alley Cat Lounge, a place where they love booze and say you do too! Or how about Rock on the Roof ?- it is hard to beat the sunset view from this rooftop bar on Bay Street. So it is at this point that you realize after reading all of this article that we are all connected somehow because of the history of Old Savannah GA. So grab a drink and come along for the ride. So you want a cocktail and a view? Try Top Deck, A rooftop bar along the Savannah GA River. It has comfy couches and plenty of outdoor seating for your viewing pleasure. Plus the drinks are tasty! And I would be remiss if I didn’t mention the Artillery Bar, I mean, look at this gorgeous place! Go and explore the menu! ✦BONUS✦: Another added bonus about drinking in Savannah’s Historic District: They allow you to carry up to 16 oz of liquor in an open container in hand! Say what? Yes, this is true, but only in the historic district of Savannah and only in an open plastic cup! So leave one bar for the next one while wandering the historic district with a cup in hand! ✦ Savannah, Georgia: Where to Eat? One thing that Savannah is famous for is its Southern-style cooking and who is better than Paula Deen (and Sons) to cook for you? Currently located on Congress Street, Paula Deen’s Lady and Sons Restaurant began back in 1989, when Paula began cooking out of her home! Soon enough, it was a lunch delivery service, delivering lunch bags to businesses around town. As you can see, it has evolved into something way bigger than that is now an institution in downtown Savannah. With southern hospitality, local produce, and fine coastal cuisine, Elizabeth’s on 37th is a favorite destination in Savannah GA for the last 30 plus years… It is housed in an elegant 1900’s mansion with food inspired by Chef Elizabeth Terry and her husband Michael. 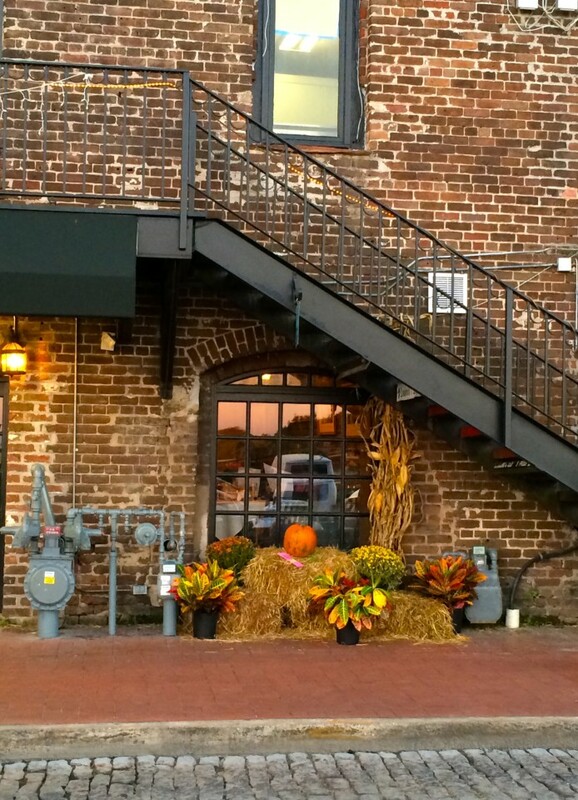 45 Bistro – History & Ghosts in Savannah! 45 Bistro is located in the historic hotel-turned-Civil War hospital. 45 Bistro is well known for its; delicious food and for the occasional ghost sightings. So be sure and keep your eyes peeled for some citizens of Savannah’s past! And how about an order of fried green tomatoes, crawfish beignets, and spicy fried shrimp? You can try both at Vic’s on the River. During the Civil War, General Sherman’s officers used this location as a meeting and housing space. In the main dining room, there is a hand-drawn map detailing Sherman’s march through Georgia. A pirate-themed restaurant hear where General Oglethorpe landed in 1733 and opening 20 years later, the Pirate’s House Restaurant has been serving people and pirates since then! It is widely known that real scoundrels have eaten in this establishment! Arr! So get on the phone and make yourself and friends a reservation at this fun-filled restaurant on Broad Street in Savannah. As mentioned before, try out The Grey, as it is fast becoming one of the top dining destinations in town, located in its revitalized 1938 art deco Greyhound Bus Terminal. The Grey offers food, wine, and a service experience that brings Southern food that is soulful. The Grey continues the building’s tradition of transporting people to a destination, but this one is to a whole new world. As not to forget, the owner of The Grey left a spot where you can observe the station’s previously segregated areas, the waiting room in the rear and the separate bathrooms. Although the 247-year-old Olde Pink House restaurant recently had a fire due to a Christmas tree located on the second-floor ballroom in late December 2018, the Olde Pink House in Savannah will reopen by the end of January 2019. It is located in an old Southern and colonial mansion off of Abercorn Street. It is THE place to go for Lowcountry cuisine. What is Lowcountry cuisine you ask? Lowcountry cuisine is cooking traditionally associated with the South Carolina Lowcountry and along the Georgia coast. So don’t worry, firefighters were able to save a majority of the building and things should be back to normal soon! Be sure and call for reservations first! 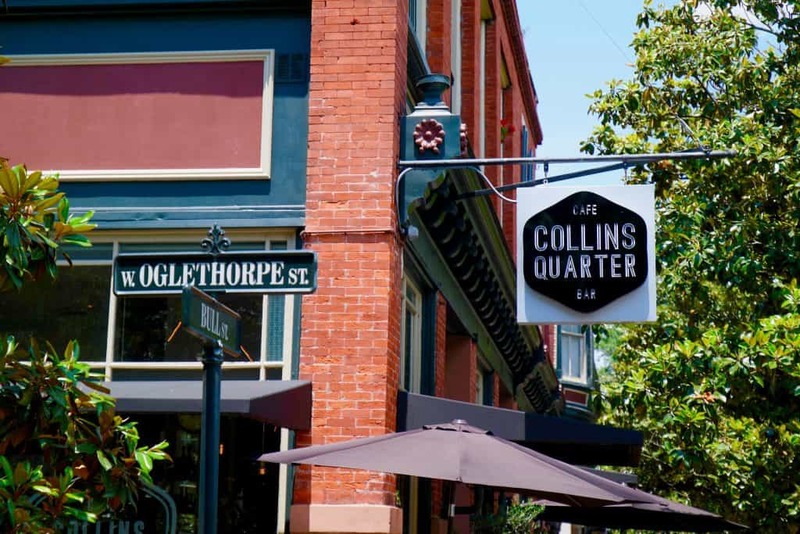 If you get a chance, check out Collins Quarter in the historic district on Bull Street with a decadent champagne breakfast to a delicious lunch or dinner cuisine paired with fine wines and craft beers, this place is pretty awesome! Talk about Southern Cooking, this family-style restaurant allows for everyone to pay a flat fee (cash is only accepted, no credit cards accepted here) and all can chow down on southern fried chicken, okra, sweet potatoes, gumbo, and cornbread. All the best southern cooking foods! And luckily, the menu changes daily. The location is along picturesque Jones Street in a boarding house that was taken over by Mrs. Sema Wilkes in 1943. The place is now run by her great-grandson Ryan Thompson. If there is one place that needs to be on your list of great restaurants in Savannah, GA, be sure to check out Cotton & Rye! They have a cool location of a remodeled, midcentury bank on Habersham Street. They don’t take reservations, so be sure to get there early or late. Either that or decide to wait in line! ✦ Ok, Now That You Know Where to Eat… What Should You Order? Since Savannah, GA is the home of great cuisine of the South, many cultures and traditions from different countries have all influenced this cuisine. Some of the traditional dishes hail from African, Spanish, French and English cuisines. Barbecuing is a huge staple in the Southern States, especially wood-fired and deep-pitting. Let’s take a look at some of the tastiest dishes that can be found in Savannah, Georgia. Grits are a porridge-like dish that is made from corn, also known as maize. This mouth-watering dish originally comes from a recipe from the Native American Muskogee Tribe. Grits are usually served as a breakfast food along with eggs and bacon. A simple grits recipe can include the following: milk, heavy cream, butter, salt, water, and corn grits. This is a relatively easy dish for people to make, especially those who are not the best chefs. But one of the greatest places to eat grits is Narobia’s Grits & Gravy located on Habersham Street in Savannah, Georgia. This restaurant is everything one would expect from the South. Friendly staff, quaint restaurant, and amazing food! Macaroni and cheese is probably the most-homey and comfort dish in the entire USA. No one makes a better dish of mac and cheese than in the South. A great recipe for Southern-style mac and cheese includes butter, garlic, sharp cheddar, macaroni, eggs, and half-and-half. Located on Skidaway Road, Sisters of the New South is the perfect restaurant to eat some homemade mac and cheese! 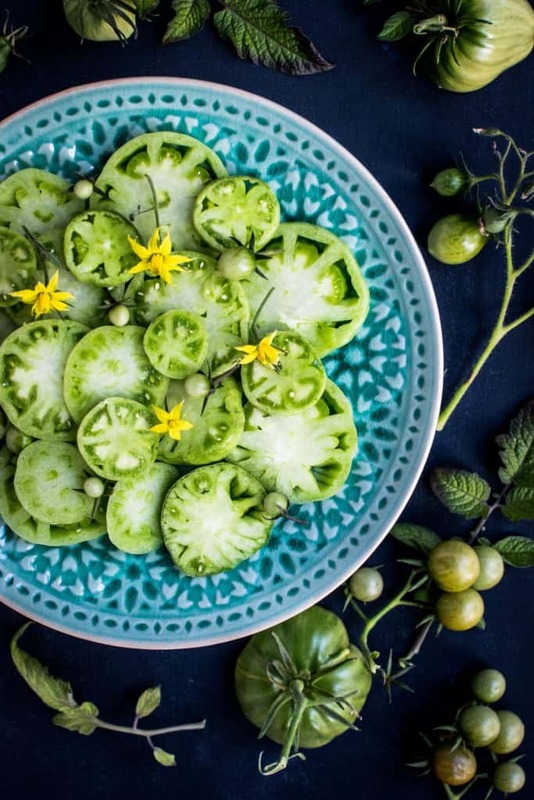 Fried green tomatoes is not only a great movie, but it is also the name of a famous dish in the Southern United States. These fried delicacies are served as a side dish to meals like fried chicken and sandwiches. The scrumptious texture from the fried tomatoes comes from the cornmeal. The Savannah-based restaurant, Biscuits Rise Donuts serves delicious meals from country ham, Southern chicken biscuits, and their version of the famous fried green tomatoes. These are ready to be fried! Fried chicken is a meal that can be served hot or cold, but the best kind is served in the South (in my humble opinion!). The dish can be pan-fried, deep-fried or pressure fried, as long as it is fried. This meal comes from Scottish descent mixed with a little African cuisine. Fried chicken is generally crunchy, crispy, tender, and juicy. 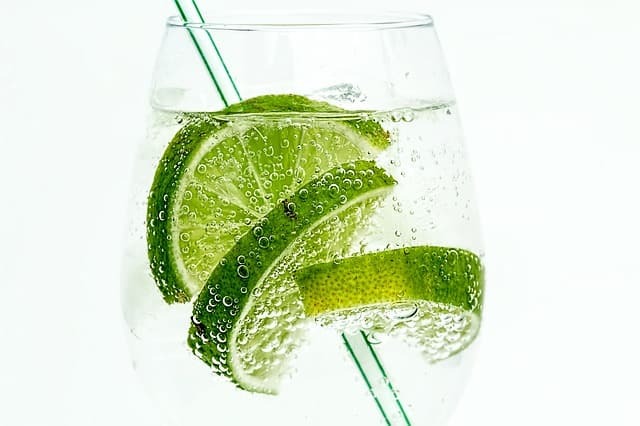 It should make your taste buds water. Kennedy’s Fried Chicken (not Kentucky Fried Chicken!) on Pennsylvania Ave in Savannah has everything from chicken wings, to fried chicken and hot wings. Is it chicken or steak? This is the question that most people ask when referring to the Southern dish, Chicken Fried Steak. Despite the name, this dish’s main ingredient is steak. A mixture of Italian and Austrian cuisine, this dish is composed of flour, eggs, breadcrumbs, salt, and pepper. It is usually served with gravy and vegetables. Cotton & Rye is an American-style restaurant that serves this wonderful dish, as well as trout and beef tartare. Pimento Cheese is another staple dish from the South. Created from cheese, pimentos, and mayonnaise, this amazing spread is perfect on sandwiches. A simple recipe for pimento cheese including processed cheese, mayonnaise, pimentos, salt, and pepper. The best way to serve this relish is on crackers, tortilla chips, or in sandwiches. You don’t have to be an art and design student to eat at the amazing Gryphon Café at the Savanah College of Art & Design. This sleek café makes the most scrumptious pimento cheese sandwich, complete with onions and bacon! Biscuits and gravy can be found around the world and they can come in different textures, tastes, and size. 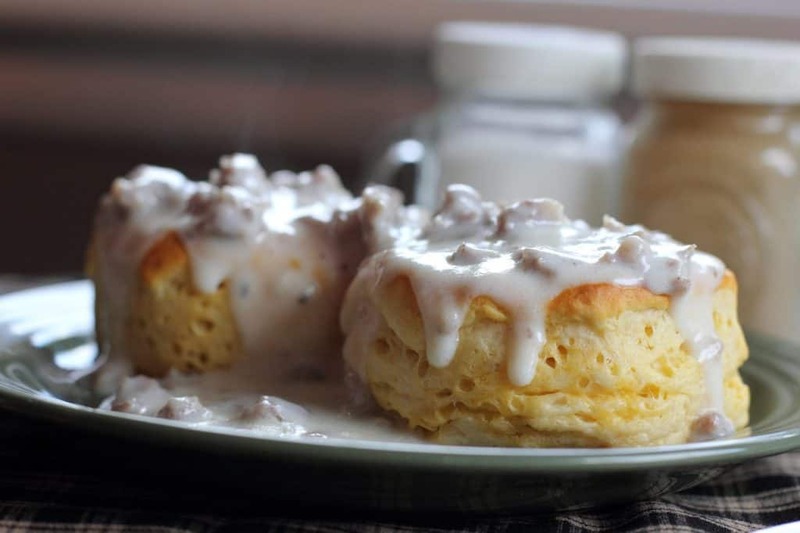 The most delicious biscuits found in Savannah are the buttermilk biscuits & gravy. These fluffy biscuits made from buttermilk, butter, baking soda, salt, and flour are the perfect side dish to accompany any Southern meal. One of the best breakfast places to eat buttermilk biscuits is Narobia’s Grits & Gravy. Although this restaurant has already been taken for the best grits, you cannot miss the opportunity to eat here and try the biscuits and gravy too! Originated from South Asia and Africa, okra is a plant that has edible seeds. Okra can be cooked in many different ways, but staying true to the Southern roots, the best way is fried. Okra Panzanella is a delicious dish made from fried okra, tomatoes, onions with basil. Mrs. Wilkes Dining Room is a comfy restaurant that serves tasty okra, fried chicken, macaroni salad and slaw. Pecan Pie is stable in the Southern states but this dish is not for those with a peanut allergy. A mixture of pecans, sugar, molasses, honey, eggs, and butter all form together to make this scrumptious dish. It is often topped with vanilla bean ice cream, whipped cream, or a sticky caramel sauce. 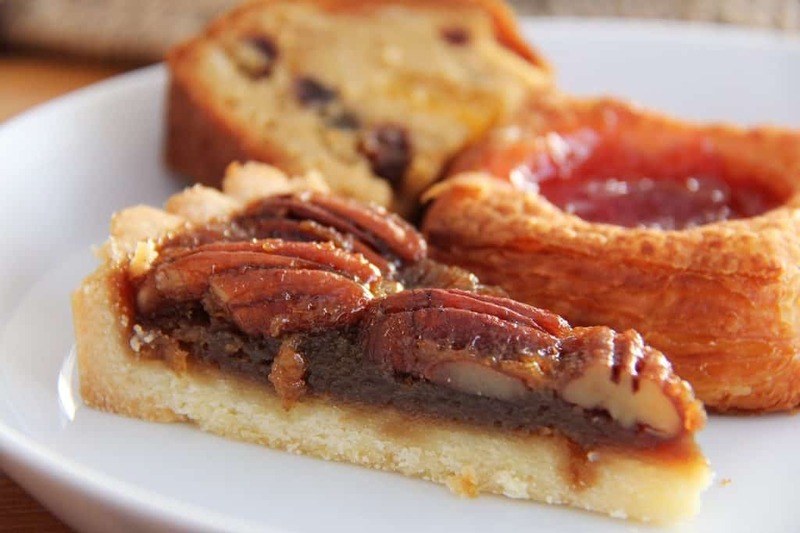 Pecans are grown locally among the Southern states, which makes this a great local dessert. Sweet Potatoes on Stephenson Ave is best known for their pecan pie. Nothing screams Georgia like a homemade slice of Peach Cobbler. Cobbler is a pie made from a thick pie crust that was originally made in the United Kingdom. A southern tradition is to give this cobbler dessert a few scoops of vanilla ice cream. Why not pair a scrumptious slice of peach cobbler with one of the 80 beers served at Crystal Beer Parlor. This restaurant has been in Savannah since 1933 and it serves everything from salad, onion rings, crab dip, and its famous Georgia “Gawgia” Peach Cobbler! Hailing from a mixture of cream, sugar and nuts, pralines are a confectionary dessert that is highly promoted in Savannah. The main types of pralines come from Europe (France and Belgium) and the USA. This French-inspired dessert is similar to fudge. Pralines can be made from chocolate and pecans or hazelnuts. Savannah’s Candy Kitchen is home of the tastiest pralines in all of Georgia. 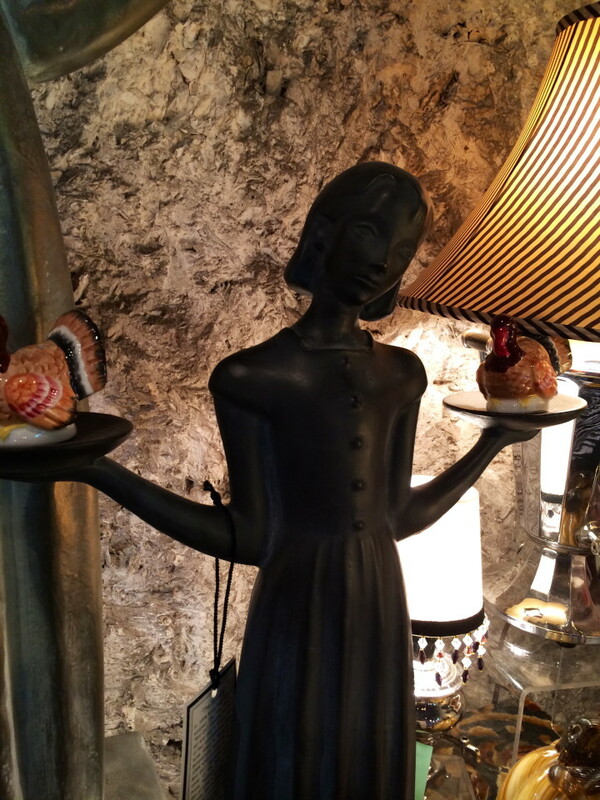 This unique confectionary heaven serves original pralines, pecan pralines, praline cookies, and chocolate pralines. You can order these delicious treats online and have them delivered to you. Put on a hat, sunglasses, and sunscreen to protect your skin. Dress cool; you will be walking a lot, although the trolly tour helps. Bring along a camera to take home some inspiring photos, as I am sure you will want to post a few on Facebook, Pinterest, and Instagram! Want Romance in Savannah, GA? ✦ Want to learn some fun facts about Savannah? Savannah was established in 1733 and is Georgia’s oldest city. Savannah has more than 100 neighborhoods throughout the city. Savannah is one of the largest National Historic Landmark Districts in the United States. Savannah is love at first sight! ✦ What is Savannah GA famous for? For being one of the oldest cities in Georgia and one of the original 13 colonies! And that sums it up! 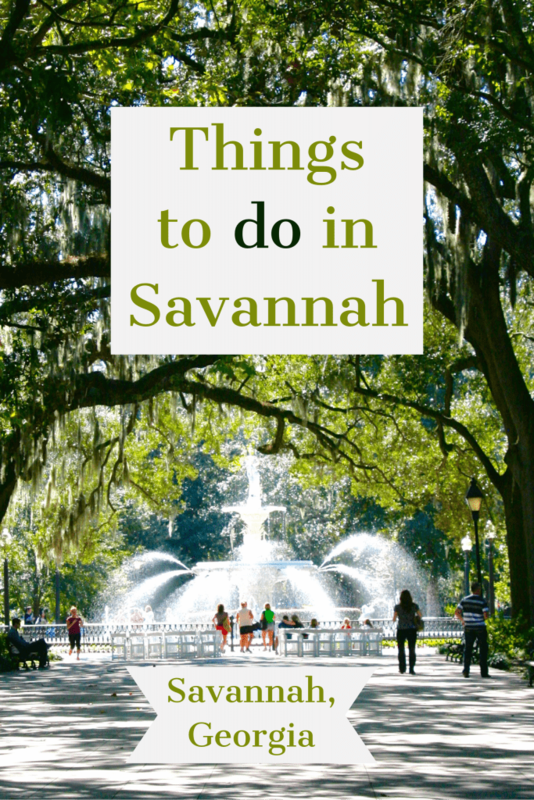 Your Comprehensive Guide to Things to do in Savannah, GA! 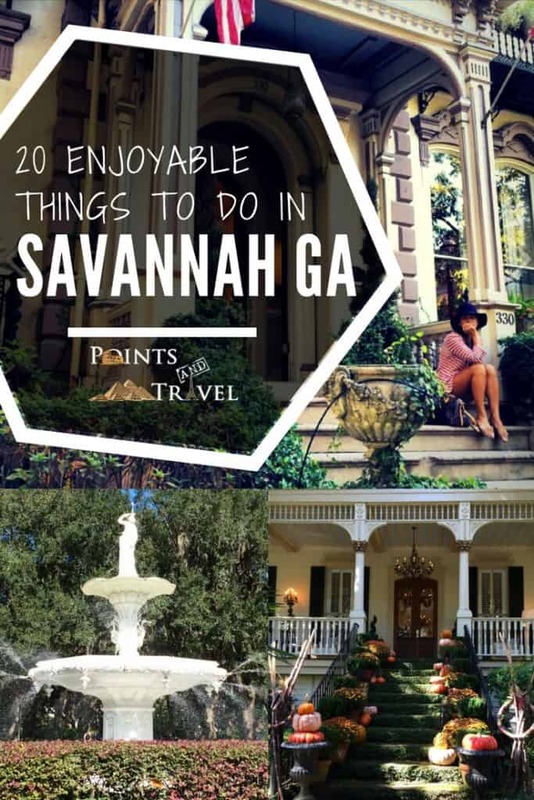 I hopefully have given you plenty of ideas for what do in Savannah and the surrounding area! Have you been to Savannah? Do you have any tips on where to eat, where to stay, or what to do in Savannah? Share them in the comments below! Disclosure: I was an invited guest to by the Savannah Tourism Board and this article may include affiliate links. But my love of Savannah GA comes strictly from my heart. I’ve always wanted to go to Savannah ever since I read the book (and saw the movie), Midnight in the Garden of Good & Evil. It looks stunning! oh it is so stunning!! Read the book and see the movie again before you go! I love Savannah! We made the drive from Vanderbilt several times for mini breaks. 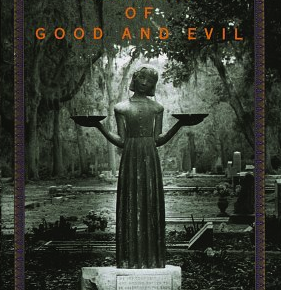 I also recommend reading Midnight in the Garden of Good and Evil and visiting some of the spots from the book. The food everywhere is divine. Beautiful photos, you are making me want to plan another trip! I had to watch the movie before I went! Loved it! Let’s go there some time again, I am dying to go back! It’s been many years since I have been to Savannah, but it is such a beautiful city, and your photos really highlighted that beauty so well! Thank you! You should go back, I can’t wait to go again! What a beautiful, BEAUTIFUL love letter. Thank you ! Wow! Coming from you that means a lot. I was never really intrigued with going to Savannah until I saw the movie “Midnight in the Garden of Good and Evil.” Then I got hooked and wanted to go. I would love to see your musical production of it in New York, Los Angeles or London one day! I adore Savannah (and am lucky enough to live just 4 hours away). If the weather is nice, the city market area is a lovely way to spend an afternoon as well! Karisa, I cannot wait to go back and spend more time there! Savannah looks great! I’ve never been but I love all of the pumpkins – how cool! – and the architecture is stunning. Oh, I absolutely fell in love and need to go back! Where is Bonaventure? Hint: not downtown. John, do you often leave vague and tacky comments on Travel blogs? Bonaventure is a 12 minute drive from the Historic District, in case you are wondering. Such a great post, thanks for sharing. I am planning to visit Atlanta with my friends in the next month. I have now decided that what Things to do in Savannah, with my friends. Your ideas are great, it’s very helpful to me. Glad I found this post- I am visiting Savannah for the first time next month. It looks like a beautiful city!